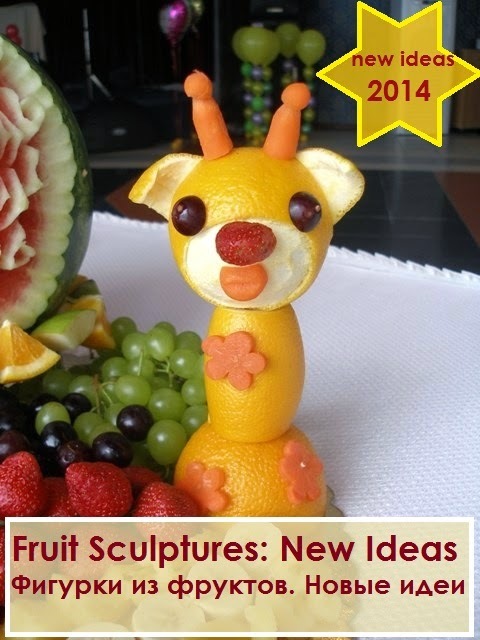 Photo album with new ideas for cute fruit sculptures and Baby Shower's fruit platters made in 2014. The album is a downloadable PDF file with large photographs of fruit sculptures of animals and popular movie characters, made by me in 2014 to decorate Baby Shower's buffets and children's birthdays. They are Gummi Bears, Giraffe, Teddy Bear, Minion, Thomas the Tank Engine, Mickey Mouse, 9 new sculptures in total with brief description of materials to use. 19 pages, 17 large photographs of the sculptures and displays made with fruits and vegetables. Upon a payment you will be given with a link to download the file. Mail me to selen15367@yahoo.com if you have a question. Автор: Unknown на Friday, March 20, 2015 , Ссылки на это сообщение , 0 коммент. 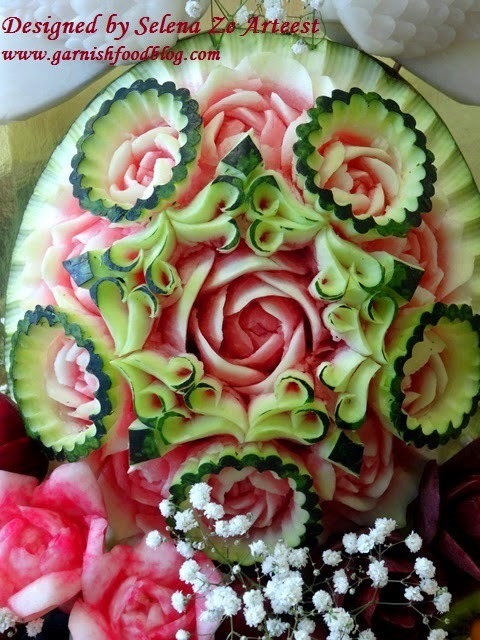 The fruit basket with watermelon was designed to be a wedding decoration. 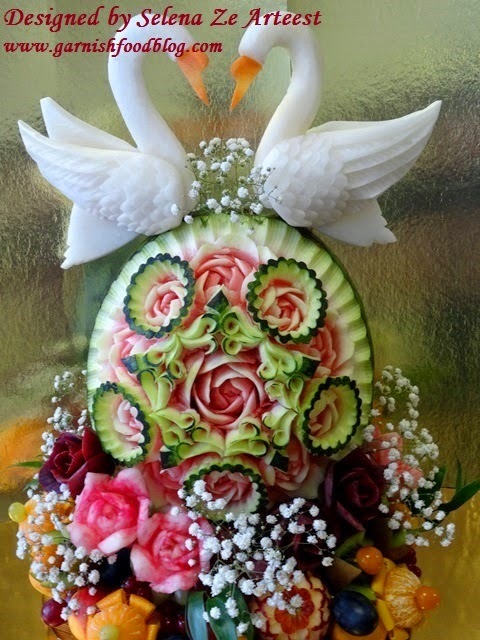 Estrella and 5 rose medallions carved on watermelon, a pair of white swans of daikon and delicious fruits surrounded by clouds of Gypsophila flowers. Автор: Unknown на Thursday, March 12, 2015 , Ссылки на это сообщение , 5 коммент.